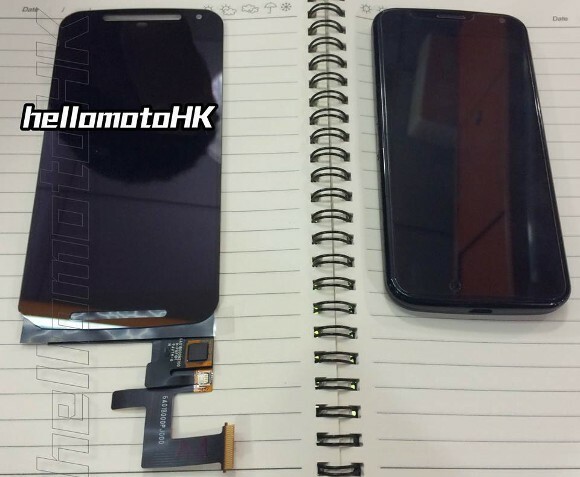 New details about the Moto X+1: Take a look at the front panel! You are here: GeekSays Technology News » Android » New details about the Moto X+1: Take a look at the front panel! Even though it won’t have top notch specs, the Moto X+1 is definitely one of the most expected devices of this fall. And guess what? The phone is starting to leak a lot, with just a few weeks left until its launch, scheduled for September 4. After the specs were leaked by a benchmark, we now have the chance to take a quick peak at the phone’s front panel which reveals a couple of differences, compared to last year’s model. First of all, we can’t deny that the new Moto X+1, pictured on the left, is way bigger, so the rumors about a 5.2″ display have all the chances of becoming reality.The slim bezels weren’t forgotten, meaning that Motorola’s new smartphone won’t fall into the “way-too-big-to-fit-in-your-pocket” category. A cutout below the screen can also be observed. Being very similar in size and shape to the one above the display, we can start thinking (and hoping) at pair of front-facing stereo speakers, similar to the ones on the HTC One M8. We don’t know about you guys, but we’re eagerly waiting for the Moto X+1, as last year’s model was by far one of our favorite smartphones, and, according to all these latest leaks, this one will be way more awesome! Any thoughts about this? What new features do you expect from the Moto X+1?